For the last 47 years I have worked as a teacher, manager, researcher and writer in a range of fields, principally adult education / lifelong learning in all its forms, and more recently studying the implications of an ageing society. For most of the last 30 years I have been involved in commenting on, and perhaps influencing public policy in these fields. I have created this site as a place to put some of the fruits of this work in the public domain. I have been prompted to create it by colleagues who have asked for copies of documents and reports which I have written in the past but which are no longer available online, or in print. It starts therefore as a repository of documents, published and unpublished, with a certain amount of commentary, but I also plan to start a blog, to provide an outlet (if only for me) for my thoughts on current issues. Although much of the work has been within the UK, there has also been a stream of European and international activity since the early 1990s. 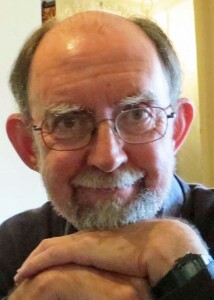 Although I have retired from full-time employment, I am still working as Chair of the Scientific Advisory Board of the European Joint Programming Initiative on Demographic Change, as an Adviser to the Joseph Rowntree Foundation, and a Senior Research Fellow for the National Institute for Adult Continuing Education . Recently I have been increasingly active in politics. You can find my thoughts and links to work and documents on each of the main themes by clicking on the menu buttons at the top of the page. If you want to know where I learned what I know about these issues you can find a short CV, and a list of some books which have influenced me. None of it could have been achieved without the support of friends and colleagues some of whom are listed here, and the influence of my father, John McNair, and my mother, Irene McNair .